So far Steve Geffner has created 35 blog entries. Cheap. Fast. Good. Can you have all 3? Cheap. Fast. Good. 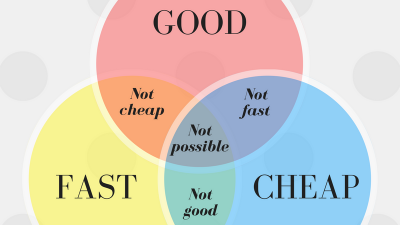 Can you have all 3 when it comes to your online videos? In today’s "Let's Talk Video!" blog post, we answer this common - and great - question. People always ask us, "Where should I upload my videos?" 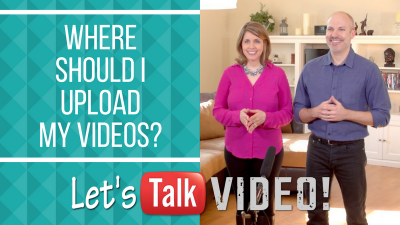 Watch this episode of "Let's Talk Video!" with Steve & Jaime Geffner to find out when to upload your videos to YouTube, and when to use another video sharing site. How Do I Save Time When Creating Videos? 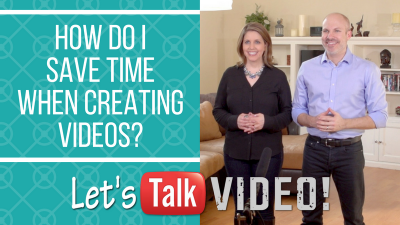 One of the most common questions we get asked is: how do I save time when creating videos? Watch this episode of "Let's Talk Video!" to find out our #1 professional video producer secret that will allow you to get more done in less time! It's time to start looking forward to 2017! 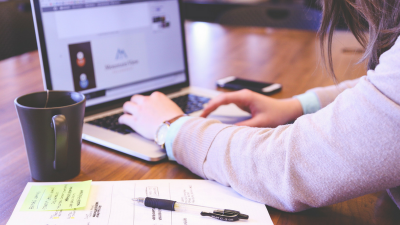 For those of you who want to grow your business next year (and that should be all of you), today's blog shares 3 strategies that we use in our business, that make a huge difference for us. I’m Afraid To Be On Camera! 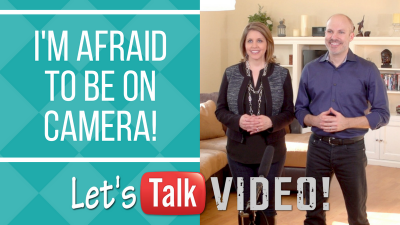 Are you letting the fact that you're afraid to be on camera prevent you from leveraging the incredible power of online video to grow your business? Watch this episode of "Let's Talk Video!" to change your mindset and get EXCITED about stepping into the spotlight, and becoming the face & voice of your brand! How Do I Create Blog Videos For My Business? Are you an entrepreneur who wants to be putting out regular blog video content, but aren't sure what to create content about? Then don't miss this week's episode of "Let's Talk Video!" 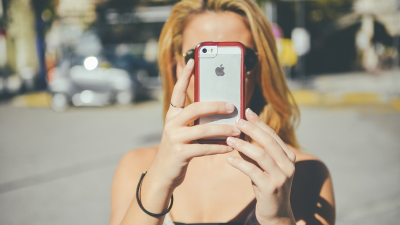 So you want to start filming your own online videos, and you're looking for some tips? Then this week's "Let's Talk Video!" blog is for you! 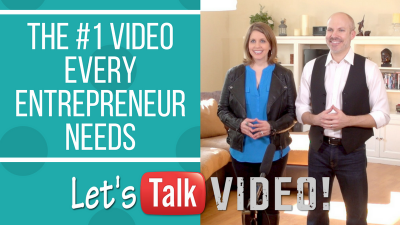 Are you an entrepreneur who wants to use online video, but you have no idea where to start? Then don't miss this week's episode of "Let's Talk Video!" Am I Ready For Video? 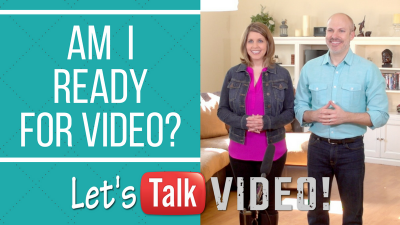 Are you an entrepreneur, and you're wondering if you're finally ready to start using online video in your business? Find out in this week's episode of "Let's Talk Video!" 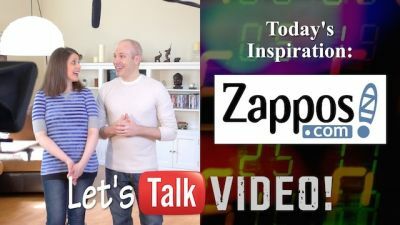 What can your small business learn about video ROI from online retail giant Zappos.com? 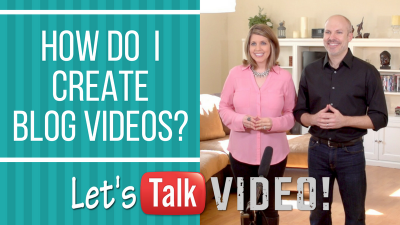 Find out in this week's episode of "Let's Talk Video" with Steve & Jaime Geffner!